The fall is here, holidays are around the corner and so is the Black Friday & Cyber Monday. 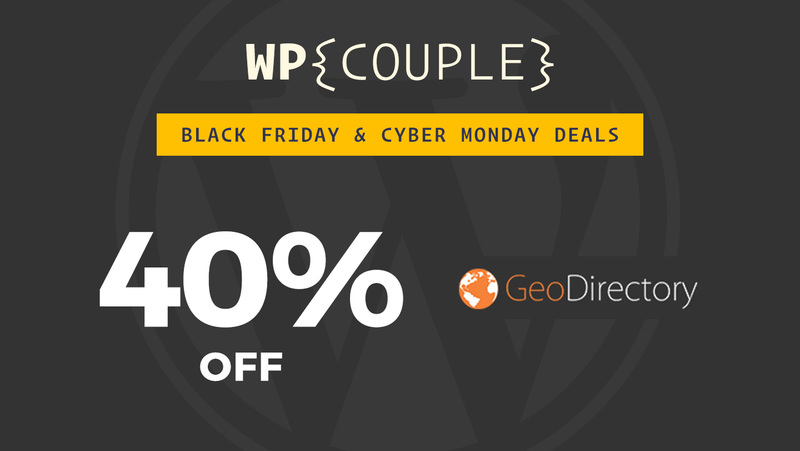 Discounted deals are in full bloom and many WordPress companies are not behind. They are all set to announce the craziest deals to attract new customers. So, if you’re planning to purchase WordPress plugins, themes, or hosting then this is the best time. 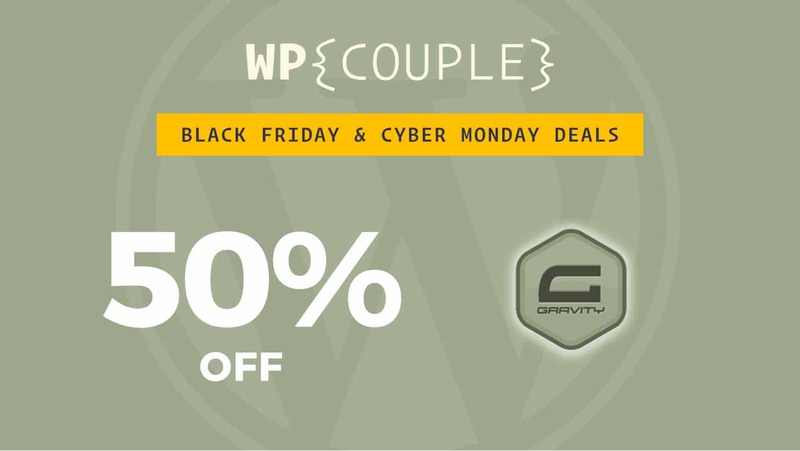 The incredible sponsors of WPCouple have teamed up with us to announce mega discounts on their products. 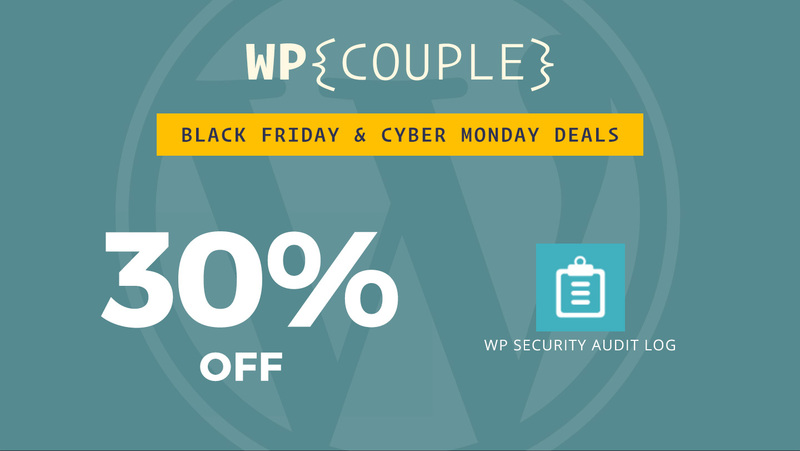 Check out the list of amazing WordPress Black Friday & Cyber Monday deals for 2017 which you’ll only find here. Don’t forget to bookmark this page as we’ll be updating the list throughout the week. 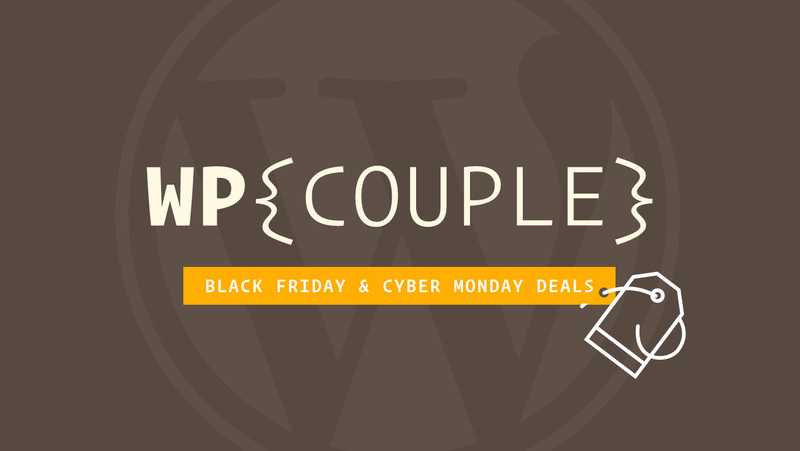 NOTE: Some deals are exclusively for the #WPCouple readers. Well, who doesn’t know about the GravityForms plugin?! It’s one of the oldest form plugins which is filled with lots of easy to use features and top of that it integrates well with a lot of third-party software. That in my book = good form software! 🙌 To top it all off, folks at GravityForms support so many open source projects and are one of the biggest reasons why we at WPCouple are able to bring this content and more free and open source software to you. GravityForms do NOT do discount deals very often so if you need a good form plugin this deal is for you. I can’t help but think that we had something to do with this deal as in we might have convinced Jeff and Carl for this one. Get 50% discount → Starting Friday, we’re offering 50% off all licenses. Yeah, that’s right; Basic Licenses are $29.50, Pro Licenses are $79.50, and Elite Licenses are $129.50. Same great product, same great support, insane deals. Validity: Friday, 24th Nov 2017. 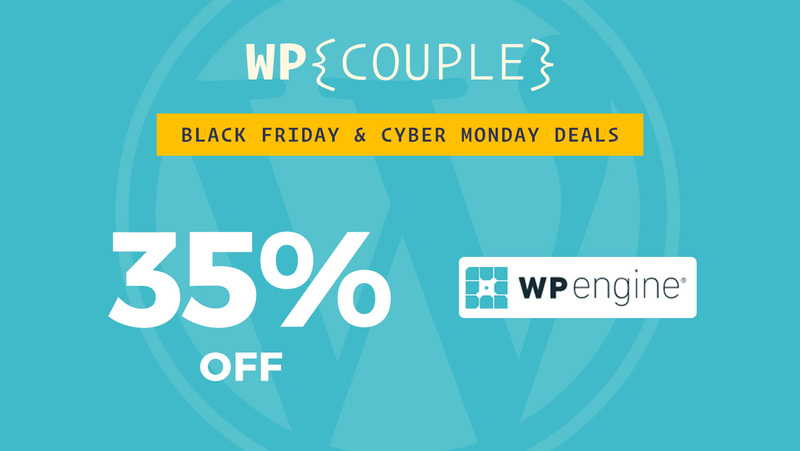 Note: This deal is exclusively for the #WPCouple readers. Kinsta offers incredibly fast managed WordPress hosting service. It’s also the first managed WordPress hosting exclusively powered by Google Cloud. Apart from its speed, they rock a great support team and awesome features like free migrations, dev-tools, latest stack etc. They’ve got a plenty of plans ranging from Starter to Enterprise level. I trust WPCouple with Kinsta and almost all my other sites. Since moving to Kinsta, I have observed up to 86% gains in organic traffic alone. Make sure you don’t miss this out. Get 30% discount on all monthly Kinsta subscriptions from Starter ($30/mo) to Enterprise ($900+/mo) plans. Sign Up for a full price plan. Open a ticket and mention “WPCouplesBF17“ in the ticket. 30% of your payment will be returned. Developed by the team of Cridio, ListingPro is the #1 Best Selling Directory Theme on Envato Market this year. It made 3000+ sales in less than 30 weeks. The core value of ListingPro lies in the fact that it doesn’t rely on any other plugin, everything is built inside. You can also build a site like Yelp, FourSquare, or Zomato using ListingPro. It’s reliable and easy to get started. That’s not all — with the speed of their growth, I have some inside scoop that I plan to share next about ListingPro’s awesome update. If you’re going to set up a listing site for yourself or for a client, I suggest you grab this theme now before the price almost triples next month. Get 50% Off on ListingPro — It’s literally the best listing theme of 2017. I love the fact that they have built an entire dashboard to set it up like a whole new listing startup of yours. TranslatePress is a WordPress plugin which helps you build a multilingual site directly from the front-end. It provides a unique translation experience by combining both manual and machine translation. TranslatePress also integrates seamlessly with plugins, complex themes, and site builders. 👉 To learn more about the plugin check out our extensive review about TranslatePress which we published recently. 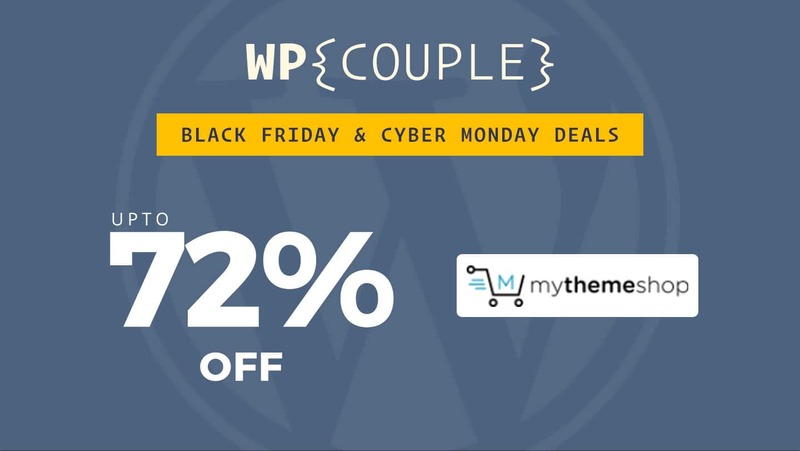 MyThemeShop offers premium WordPress themes & plugins. Their products are used by not only top affiliate marketers like Matthew Woodward but top bloggers like ShoeMoney and many other webmasters. They have a collection of over 150 WordPress products which are very easy to use. MyThemeShop focuses on quality and clean code and has also contributed to the WordPress core. WPRocket is a WordPress caching plugin which makes your website load faster.  It makes use of optimization techniques like lazy loading, DNS prefetching, minification etc. to optimize the WordPress speed. On top of this, it’s also eCommerce friendly. To learn more about WPRocket, read our review of WPRocket. WPEngine is a managed WordPress hosting service. 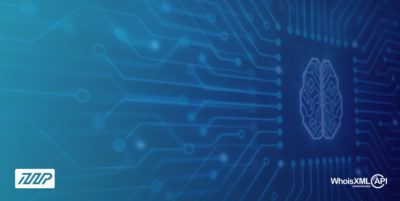 They provide agility, performance, and security that brands need. Companies like Yelp, SoundCloud, and National Geographic have already shown trust in WPEngine. Get three and a half months free in addition to the two months free that you get on any annual subscription – 35% Off. Use the coupon code “cyberwpe35″ during checkout to grab the discount. WP Security Audit Log is a real-time audit Log and tracking plugin for WordPress. It keeps a record of all changes in WordPress to ease troubleshooting process. This plugin also helps you track the failed login attempts and user productivity. 👉 To know about the plugin, read our detailed WP Security Audit Log review. BlogVault provides a reliable WordPress backup, security, and staging solution. It is user-friendly and performs a backup without overloading your server. Take a look at more features of BlogVault on their site. Malcare is also developed by the team of BlogVault. It’s an automated hack cleaning tool. It checks your site against 100 characteristics to verify whether it has been hacked or not. BlogVault and MalCare both are offering 35% Off on their products. This discount is applicable to all new purchases, upgrades, and renewals. 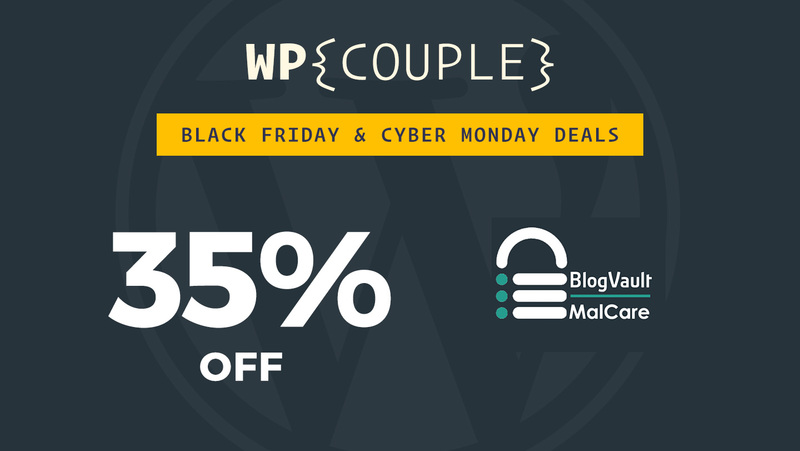 Get 35% Off on BlogVault & MalCare. GeoDirectory is an advanced and scalable WordPress directory plugin. It helps easily create directory portal on your site. It works perfectly fine with all the themes, however, they also have a family of dedicated themes. 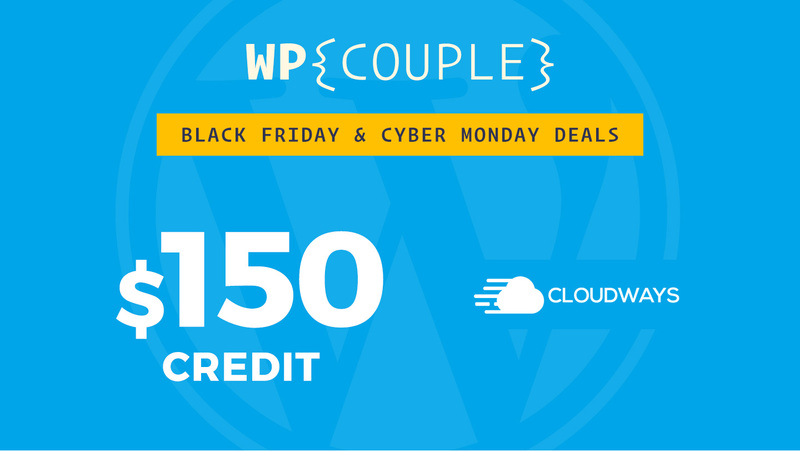 CloudWays is offering $150 in credit back with their cloud hosting services. One thing I like about CloudWays is the number of tools they offer and that you can choose from so many different cloud platforms to A/B test your entire online presence. All with the same host. Good folks at CloudWays are pretty deeply involved with the WordPress community, it’s not just the founders — Pere, Aaqib, but also other employees like Ahsan, Mustaasam, Awais, etc. I see nothing but a team of incredible people there. Use the coupon code “BF150” when you sign up for for a NEW Cloudways account — 10% of your monthly invoices will be deducted from this credit. Now a special mention to Wes Bos who is an awesome friend of WPCouple. He is an exceptional teacher and speaker. I love his web development courses and if you want to learn by doing, then you should consider buying his courses. On this Black Friday, he’s offering 50% OFF on all his courses. So, don’t miss this amazing opportunity! ES6,7,8 For Everyone — If you haven’t learned ESNext do it NOW! Learn Node — Node is awesome, learning Node not so much! Wes makes it easy. Not every deal gets featured here but some deals are just too good to be ignored even if get to know about them after this post was published. Here’s a list of new deals that we will keep up to date. Lifetime Access to ContentStudio in $69 — A SaaS platform which I use to manage about 50 social media accounts, throughout our network. I’m jumping on this deal. We just wrote an extensive WPFomify review, and guess what? There’s a 30% off Black Friday deal that you can avail right now. 🙌 That’s All For Now! We hope you’ll be able to grab some great products on Black Friday and Cyber Monday Sales. Don’t forget to share your experience in the comment box below! 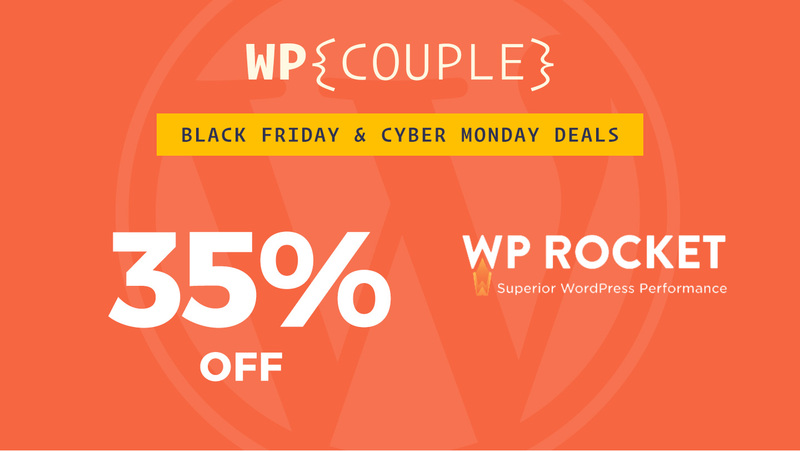 Thanks a lot @Team_WPCouple for sharing these Amazing WordPress Black Friday Deals.